Below you fill find all funeral homes and cemeteries in or near Gackle. Gackle is also known as: Logan County / Gackle city. Zip codes in the city: 58442. Gackle is a city in Logan County, North Dakota, United States. The population was 310 at the 2010 census. It was revealed by Idaho Statesman on February 21st, 2018 that Flora Schweitzer (Schmidt) died in Boise, Idaho. Ms. Schweitzer was 93 years old and was born in Gackle, ND. Send flowers to express your sorrow and honor Flora's life. It was written on December 19th, 2017 that Nancy Margaret Uskoski (Domanen) died in Kalispell, Montana. Ms. Uskoski was 92 years old and was born in Gackle, ND. Send flowers to express your sympathy and honor Nancy Margaret's life. It was disclosed by The Reflector on October 17th, 2017 that Delano Frank Homola passed away in Ridgefield, Washington. Homola was 80 years old and was born in Gackle, ND. Send flowers to share your condolences and honor Delano Frank's life. It was disclosed by The Reflector on January 11th, 2017 that Darrel Ervin Sarkinen perished in Bush Praire, Washington. Sarkinen was 74 years old and was born in Gackle, ND. Send flowers to express your sympathy and honor Darrel Ervin's life. It was reported on January 27th, 2016 that Marvin Harold "Marv" Hervi perished in Bryant, South Dakota. Hervi was 82 years old and was born in Gackle, ND. Send flowers to express your sorrow and honor Marvin Harold "Marv"'s life. It was revealed by San Mateo County Times on December 12th, 2015 that Evert Ernest "Ernie" Niskanen died in Saratoga, California. Niskanen was 92 years old and was born in Gackle, ND. Send flowers to express your sympathy and honor Evert Ernest "Ernie"'s life. It was reported by The Issaquah Press on November 3rd, 2015 that Luella Gtant passed away in Mount Vernon, Washington. Gtant was 97 years old and was born in Gackle, ND. Send flowers to express your sympathy and honor Luella's life. It was disclosed on July 7th, 2015 that Mildred June Berge (Koshiniemi) passed on in Bend, Oregon. Ms. Berge was 81 years old and was born in Gackle, ND. Send flowers to share your condolences and honor Mildred June's life. It was revealed by Register Guard on March 9th, 2015 that Jerry J Schott passed on in Creswell, Oregon. Schott was 76 years old and was born in Gackle, ND. Send flowers to express your sorrow and honor Jerry J's life. It was reported on February 13th, 2015 that W Dale Ruff passed away in Mounds View, Minnesota. Ruff was 77 years old and was born in Gackle, ND. Send flowers to share your condolences and honor W Dale's life. The population was 335 at the 2000 United States Census census. Gackle was founded in 1904. 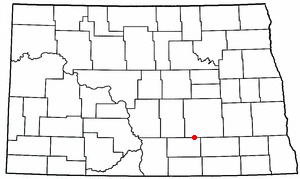 Gackle is a city in Logan County, North Dakota County, North Dakota in the United States. . .
Find funeral directors & Funeral Directors in Gackle, ND. Read business reviews, find driving directions, and more. funeral directors on YP.COM. Listing all funeral homes in Gackle, North Dakota so you can easily send flowers to any location (same day delivery) or find any funeral service. Find a Funeral Home inGackle, North Dakota ND to provide the caring burial and ceremonial services your family deserves. We work with local florists and flower shops to offer same day delivery. You will find budget sympathy flowers in Gackle here. Our funeral flowers are cheap in price but not in value.